SALT LAKE CITY, UTAH (October 17, 2018) – Today, the Salt Lake Chamber released the third-quarter results of the Salt Lake Chamber’s 2018 CEOutlook survey. The Salt Lake Chamber’s CEOutlook is a statewide economic survey of Utah business executives. Modeled after other national business sentiment surveys, it provides a forward-looking view of the Utah economy. The Chamber partners with the Kem C. Gardner Policy Institute at the University of Utah to design, tabulate and analyze the survey. Fifty business executives from Utah’s fourteen major industries are asked 6-8 questions, depending on their responses, about their company and Utah’s economic performance. Respondents are selected by each industry’s contribution to the Utah economy. Panelists come from a range of firm sizes and locations within Utah. 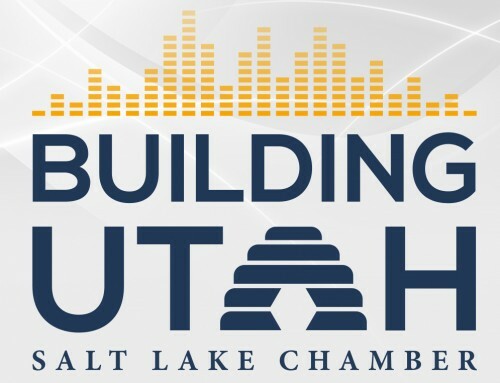 The Salt Lake Chamber is Utah’s largest and longest-standing business association. A statewide chamber of commerce with members in all 29 Utah counties, the Chamber represents the broad interests of the state’s 63,000-plus employers, which employ more than 1.4 million Utahns. This includes thousands of members and their employees. With roots that date back to 1887, the Chamber stands as the voice of business, supports its members’ success and champions community prosperity.